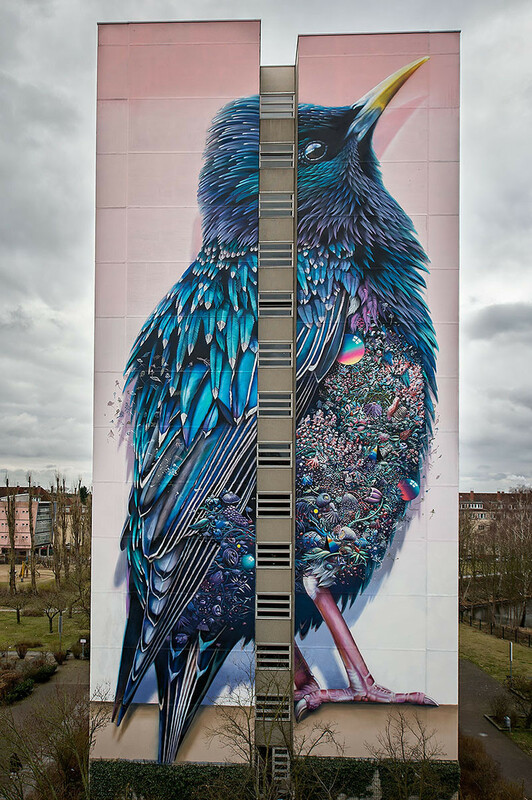 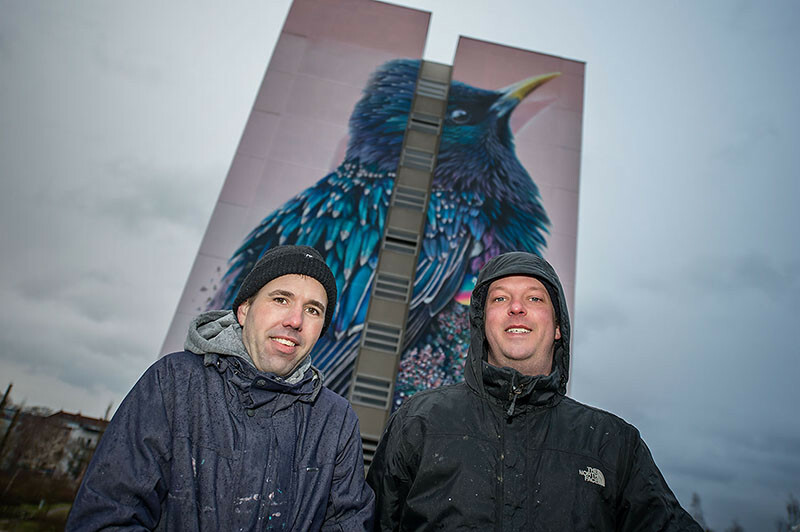 Last week, two Dutch street artists, Collin van der Sluijs and Super A, spray painted a giant starling onto the wall of this building in Berlin, Germany. 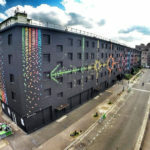 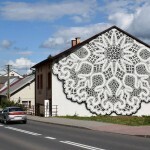 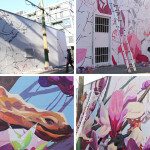 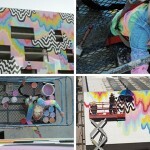 URBAN NATION, a network promoting young artists devoted to urban contemporary art and the transformation of buildings into canvasses, worked with the artists to bring the project to life. 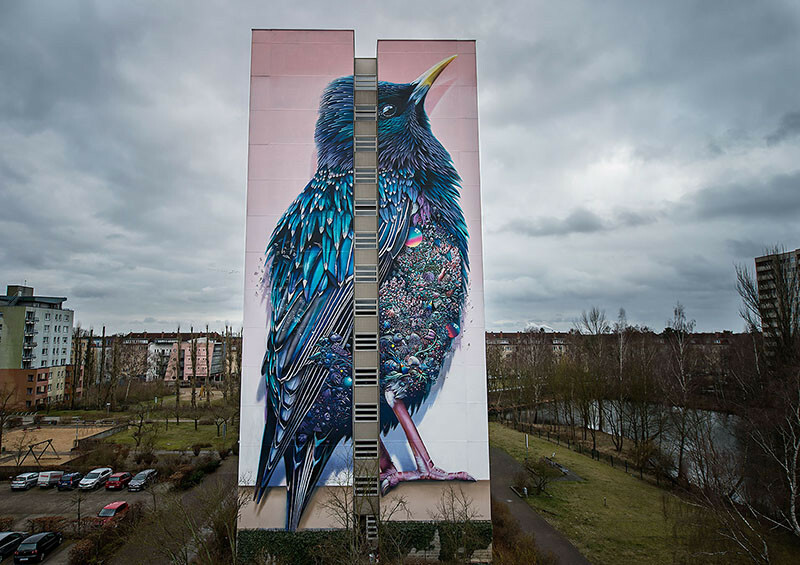 The starling, which measures in at over 42 metres (137 feet) in height, has brightly-colored flowers, entwined along the starling’s breast, to symbolize the great diversity of Berlin.